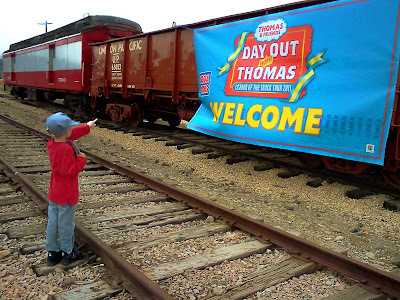 This year was our first time to experience "Day Out With Thomas," and it was a blast! Upon our arrival, we parked on the street North of the Heber Valley Railroad. Walking down the tracks towards the entrance, my kids spotted Thomas and said "Woah! It's actually Thomas!" They weren't expecting that Thomas himself would be on the tracks pulling the train! Make sure you don't just plan your trip up there according to your ticket time. 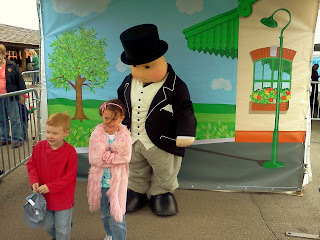 The tickets you receive are for the time you ride on the train with Thomas, but that is only half of the experience! Make sure you give yourself plenty of time before and after the train ride. The parking lot of the Heber Valley Railroad has been transformed to resemble the Island Of Sodor. Many different tents set up include pictures with Sir Topham Hat, live entertainment, a game tent with toy trains and other toys, a video viewing tent, a prize tent, and a food tent. Kids receive a map of each tent, and when they visit each tent they get a stamp on their map. After receiving all of your stamps, visit the prize tent for a special prize! Your ride on the railroad with Thomas leading the way takes you past the beautiful scenery Heber City has to offer! Remember, this event is only available on Memorial Weekend every year, so make sure to take advantage of experiencing it before it's gone another year! 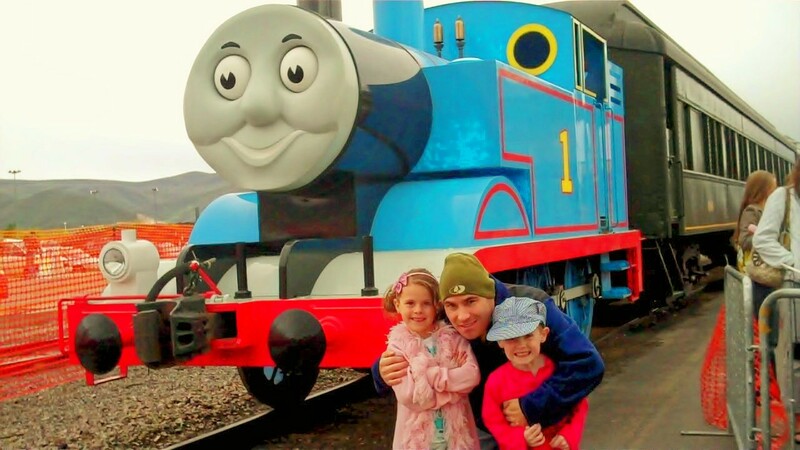 Learn more about Thomas The Train and his friends! Visit the Heber Valley Railroad for year-round fun and adventures!